All Rio Verde Foothills 20 Ac homes currently listed for sale in Scottsdale as of 04/23/2019 are shown below. You can change the search criteria at any time by pressing the 'Change Search' button below. "Surround yourself with high-end luxury properties in the peaceful Rio Verde Foothills with frontage on the McDowell Mountain Regional Park. Limitless outdoor activities and lifestyle await the outdoorsy adventurist. 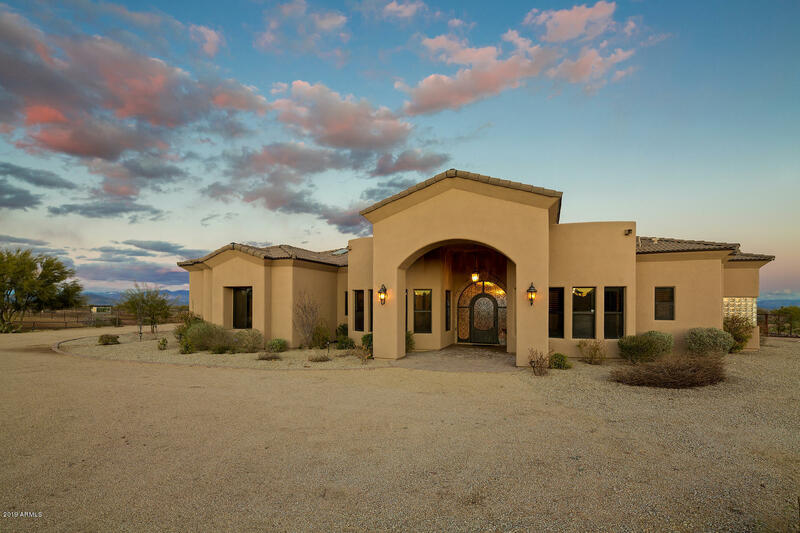 This estate size home shows like new and offers sweeping panoramic views of popular mtn ranges and gorgeous sonoran desert. 70+ tree's (including 2 fruit trees) and beautiful shrubs grace the land, complimenting the home. Enter through a grand custom steel door into the foyer and you"